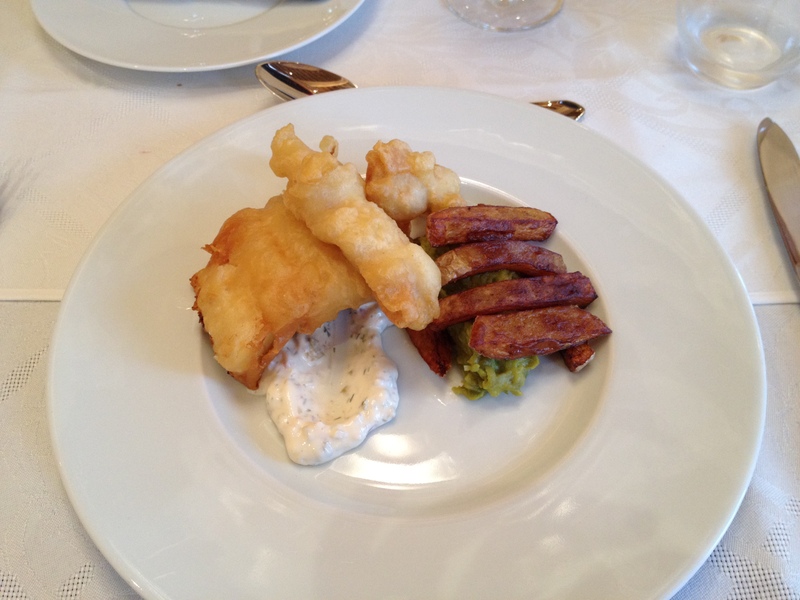 Fish and chips – again! Here’s proof that you don’t to go all the way to Cornwall to get great fish and chips. Tasted at a dinner in the wonderfully renovated Chateau Soutard in Saint Emilion – but the chef was trained in England !